We took a 2-hour-walk yesterday. These are my favorite scenes I found on our way. Can we call these "Ride"? 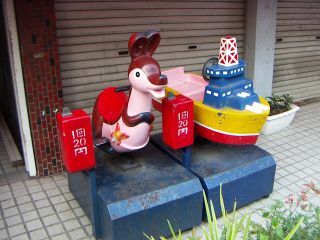 It's so retro, reminded me of my childhood! 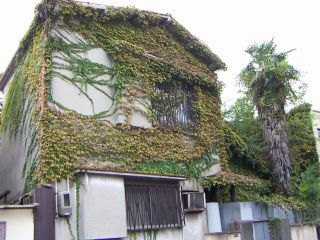 We named this "Jungle House". Maybe nobody lives here, must be! 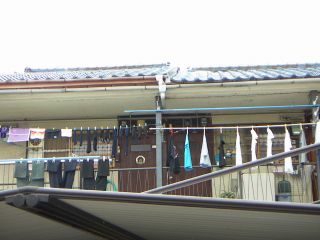 In Japan, people dry clothes outside. I believe Chinese people do so, too. When I stayed at homestay in Brooklyn, my staymother disliked to see Chinese people drying clothes outside. Interesting cultural difference! I think this dweller is very tidy. Look at this regular array! And we were surprised by these huge flowers! 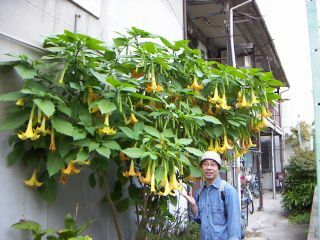 Unfortunately, we don't know the name of flower. Tell me if you know the name!